James McCarron, a PhD student from the Psychophysiology of Exercise and Sport Performance Research Group was the latest speaker in the Postgraduate Research Seminar Series in the School of Sport & Exercise Science. 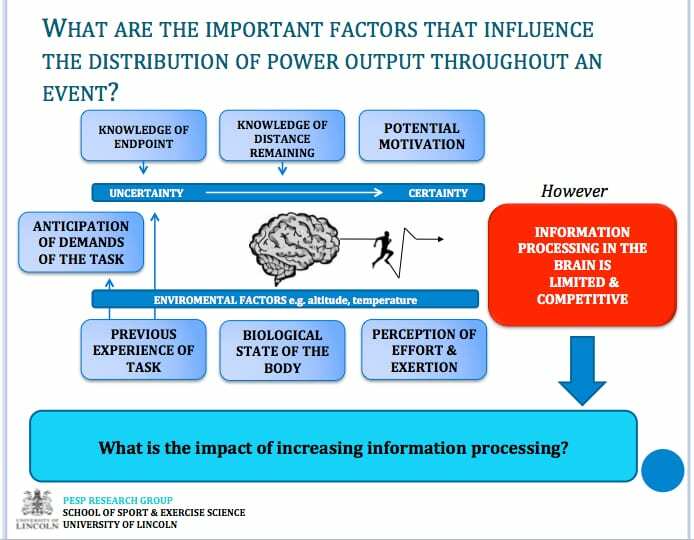 James’ research explores the relationship between pacing strategies in endurance exercise and the competing demands on brain processing from other cognitive loads. 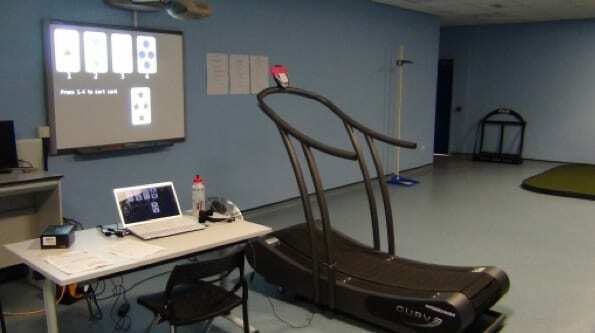 Participants in his studies were asked to complete endurance tasks under three conditions: no additional cognitive task, an ‘easy’ cognitive task, and a ‘complicated’ task (the Wisconsin Card Sorting Task). James presented his provisional findings – showing clear detrimental effects of a cognitive task on exercise performance, and vice versa – to an audience of staff, postgraduate and undergraduate students. Postgraduate research students joining the School this academic year are Rachel Williams and Alice Carter (Health Advancement Research Team), Jodie Levick and Franky Mulloy (Biofeedback in Sport), Lizzie Stamp (Mental Toughness) and Paul Harsley (Psychophysiology of Exercise and Sport Performance). More information on all of the School’s research groups can be found here. This entry was posted in Events, Research, Students and tagged cognitive load, endurance exercise, PhD, psychophysiology, research on February 25, 2014 by Sandy Willmott.